Frequency counters are widely used to measure various parameters including time interval, period, pulse, frequency, and calibration devices are expected drive demand in this market. in addition, various types of frequency counters record frequency of different waves such as square, sin, and other, therefore its application is seen in different industries. The report present crucial information on the global frequency counter market in a comprehensive manners and has covered significant factors affecting the market’s growth. It is tailored in a manner that can be easily understood by the individuals operating in the market. It gives out the information relating to key drivers and restraints, growth opportunities, and ongoing trends in the market. Moreover, key markets offering high growth prospects and vendor landscape is also discussed in the report. Several industries are now integrating Industry 4.0 and rapid growth in digitalization are expected to drive the demand in the global frequency counter market in the coming years. The demand for these devices has also increased due to the growing need for data monitoring and analysis. Rising investment for developing autonomous vehicle is also expected to stoke up the demand in this market. Adding further, high developments taking place in telecommunication including data terminals, speed, etc., and continuous development of the LTE Technology are few other factors driving demand in this market. Manufacturers operating in the global frequency counter market are diligently working on the development of high precision and accuracy based frequency counters. Twelve digits display is likely to be the key frequency counter that will help in detecting minute frequency changes as well. They are also engaged in developing precise devices by adopting advance technologies that will further expand the growth in this market during the projected period. On geographical front, North America is expected to dominate the global frequency counter market in the coming years. There is substantial demand for frequency counter in the United States due to increasing number of research and development activities taking place to develop high precision testing equipment. Europe is also expected to hold significant percentage of share in this market. On the other hand, rapid industrialization in Asia Pacific is projected to create lucrative growth opportunity in the global frequency counter market in the near future. China and Japan are the key regions where the demand for frequency counter is relatively high as compared to other regions. Latin America, the Middle East and Africa are also estimated to grow at a moderate rate during the forecast tenure. 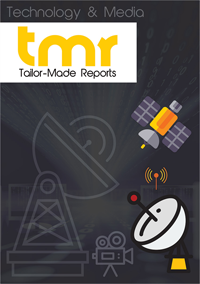 In the competitive landscape section, the report has covered prominent vendors operating in the global frequency counter market. In this particular market, leading vendors have strategic geographical presence with multiple production facilities across the globe. This has helped them getting stronger hold in the market and provided them a competitive edge in the market. Innovation, collaboration, partnership, mergers, and expansion are some of the most preferred business development strategies used by the vendors operating in this market. In addition, a new business model is introduced in the market named long tail business. As per the report, some of the prominent players operating in the global frequency counter market are Danaher, B&K Precision, National Instruments, Keysight Technologies, ROHDE&SCHWARZ, Berkeley Nucleonics Corp, Crompton Instruments, HAMEG Instruments GmbH, Tyco Electronics Corporation, OMRON Corporation, Yokogawa Electric, Schneider Electric, and Stanford Research Systems.